A Missouri native, Bashore graduated from Missouri State University in 1906 with a Bachelor of Science in Civil Engineering. He joined Reclamation out of college as a junior engineer on the North Platte project. From 1927 to 1933, Bashore served as construction engineer at Lake Minatare, before assuming the superintendent s job on the North Platte Project. Bashore left North Platte to work as a construction and investigative engineer in Oregon, Washington, and California. Bashore returned to Wyoming as an engineer on Kendrick project from 1933 to 1939. 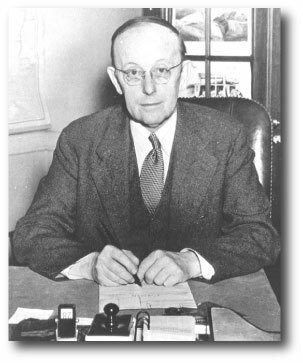 In 1942, Bashore became Assistant Commissioner, before his appointment as Commissioner on August 3, 1943. During his term, Reclamation's bureaucracy grew with the birth of the regional office system in 1943. In 1944, Congress passed the working agreement between Reclamation and the Corps of Engineers for development of the Missouri River Basin (Pick-Sloan Program).